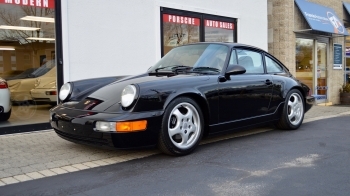 1991 Porsche Carrera 4 CPE. 5 stars - Florian B. What a pleasure! Knowledgeable, straightforward, no pressure and honest. Nice to deal with someone who's been doing this for a long time. I wish all car buying experiences were like this. 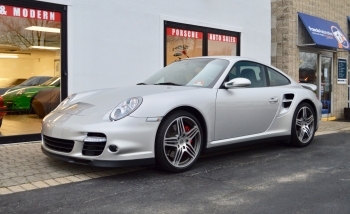 5 stars - Bruce H. Tim Holt is very knowledgeable about Porsches and is a straight shooter. We completed our first of hopefully more successful transactions in the future. 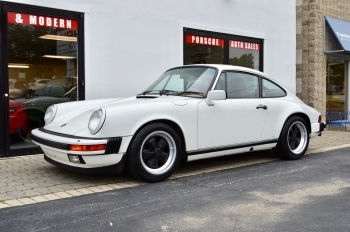 Tim's showroom is worth a visit just to see his incredible inventory of 911's. All are immaculate and yearning to be taken home. 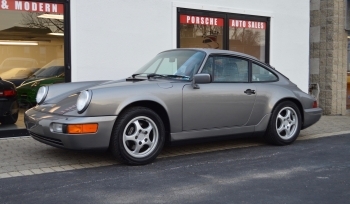 5 stars - Bill N. Over the past 13 years I have bought 4 911's from Holt Motorsports. 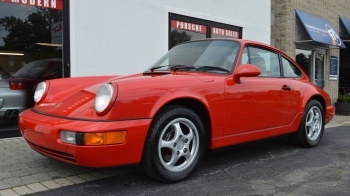 A 1992 Carrera 2 Coupe, a 2002 Turbo Coupe, a 1987 Carrera Targa and most recently a 1987 Carrera Coupe. 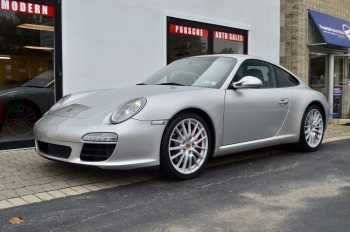 I have been very satisfied with all of these cars, primarily because both Tim and Tim, Jr. have a thorough knowledge of the various Porsche car models, their strengths and weaknesses, etc. 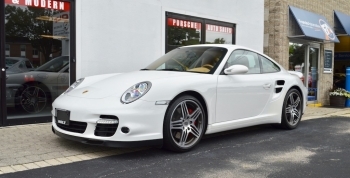 And most importantly, they only procure and offer Porsches that are clean, accident-free and ready to drive. Plus, they are both really nice guys and place a very high emphasis on maintaining their company's reputation and keeping their customer base happy. 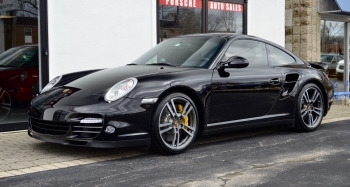 5 stars - Les M. Tim Sr and Tim Jr. my 2007 Porsche Turbo arrived today and it is AWESOME!! Truck driver and company right on time and great job. I just put plates on and drove the car. It feels tight, everything is nice , interior beautiful and my god these turbo cars really go (I'm used to the natural aspiration engines). So glad I bought the car from you guys. It's nice doing business with you (again). 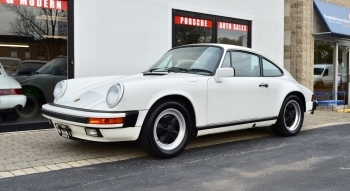 5 stars - Dan D. I recently bought a classic Porsche from Holt Motorsports. 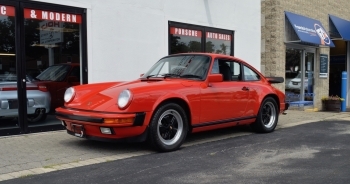 Tim Holt the owner has been working with Porsche's for 40 + years. They really have some great cars. 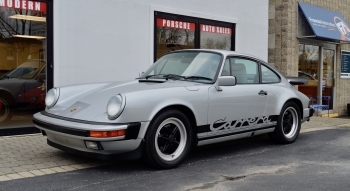 They only sell the finest used air-cooled classics. I have had Porsche's for decades and the next car I buy will certainly be from them. If you want the best, buy here. You may find cheaper but not better. They truly know what they are doing. Pleasure to deal with as well. 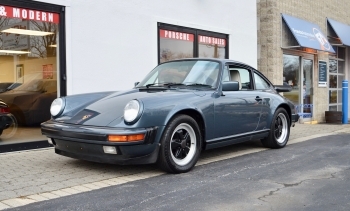 5 stars - Andres B. I am looking for an air-cooled 911, and while I have not yet purchased one, I wanted to comment how great & professional Tim Holt is. I am looking at dealers across the country and have come across no one who is nearly as knowledgeable and forthcoming as Tim is. 5 stars - Christopher D. I can’t thank Tim Sr. and Tim Jr. enough for their help! 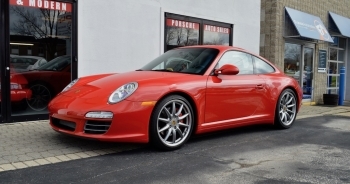 They are incredibly knowledgeable about their cars and only carry high quality inventory. 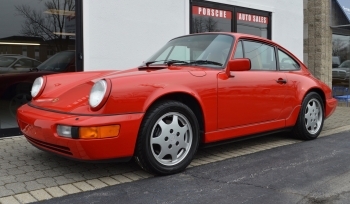 I’m beyond thrilled with my ‘86 Carrera - a good friend of mine once said all new cars are the same, but every used car is different and you get what you pay for. There’s a reason Holt’s Motorsports has been around so long and are so respected in the Porsche community!! 5 stars - Joshua P. Extremely smooth purchase - Tim was very communicative as we worked out details via email and phone, and the car is perfect! Hoping to be back for an aircooled next! Click here to see the 2011 Porsche Rennsport Reunion pictures our Holt Motorsports team took while in Monterey, California October 2011. The meet was like Porsche heaven. See pictures of the World's Greatest Sports car, displayed by the Porsche factory, famous privateer teams and individual collectors. 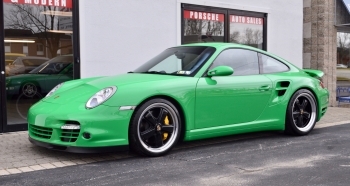 Holt Motorsports Inc. is now working with FVD Brombacher for the ultimate in Porsche tuning! Put simply, we are proud of what we sell. We dedicate ourselves to one Marque, PORSCHE. 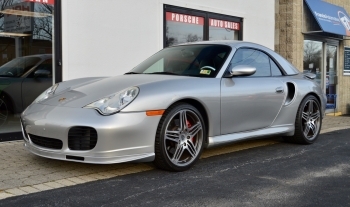 At Holt Motorsports we buy, sell, collect, race and service Porsche 911's exclusively. 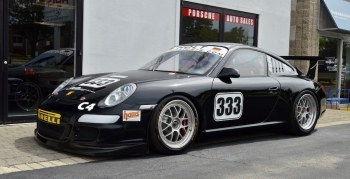 Family owned and operated, Holt Motorsports Inc. buys and sells Porsche cars of all years, models, etc. 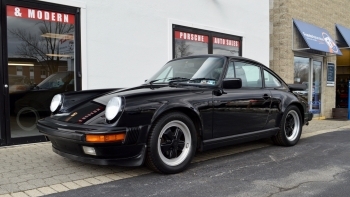 I have conservatively sold over 3,500 of these great German machines since 1973. 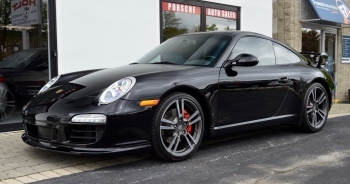 This is over 40 years of experience available to you before; during and after you purchase your Porsche from Holt Motorsports. 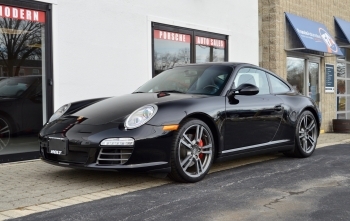 If you want to purchase a quality Porsche and have an example that will provide an unparalleled driving experience, you've come to the right place.All of our Porsches are CARFAX certified as well as mechanically certified in our shop. 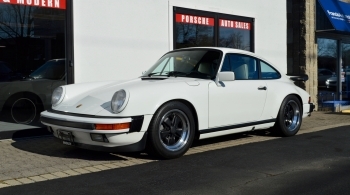 Our contacts in the business offer us access to the finest examples of the iconic Porsche 911 that you want to put in your garage. We know the best ‘Porsche people' out there. Our contacts become ‘yours' including engine, body, restoration and race preparation. We continue our support with appraisals for insurance valuation, 7 days a week advice on service and consultation as to modifications, etc. 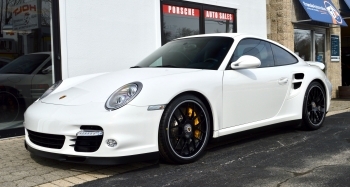 The finest Porsche, BOSCH, Brembo, Sachs, etc. 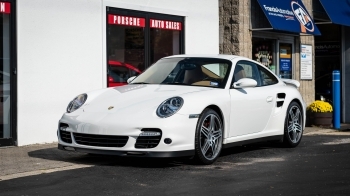 parts at wholesale cost to you for the entire time you own your ‘Holt” 911.
Financing and leasing options on all Porsche models, contemporary and collector cars. 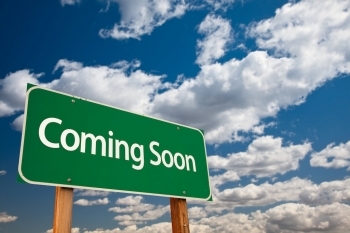 We help arrange transportation with the top carriers in the country so your car will arrive safe and sound. 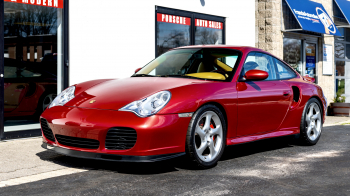 Please call us anytime to discuss your Porsche wants and needs or if you're considering selling your Porsche we would be happy to buy it, hassle free, top dollar paid the same day. The right car is an asset you can enjoy as well as always know we will gladly purchase it back at anytime or you can pass it on to the next generation of your family. 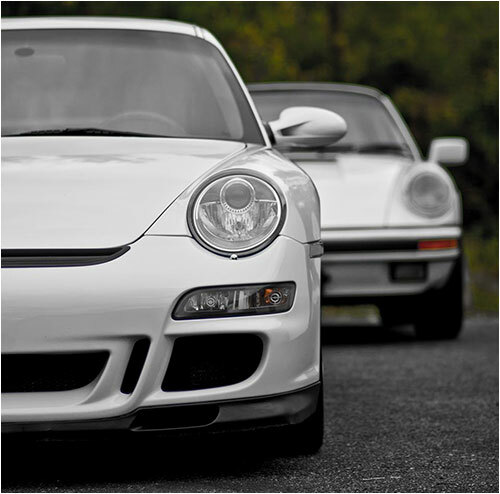 We are passionate about Porsche. 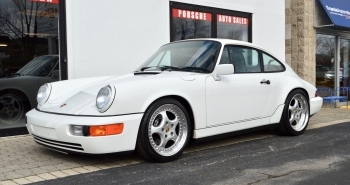 Please call us anytime to discuss your Porsche wants and needs or if you're considering selling your 911 we would be happy to buy it, hassle free, top dollar paid the same day.